1. Contest duration: 1st September 2015 - 30th November 2015. 2. We reserve the right to disqualify any participant who does not adhere to our rules and regulations. 3. Winners are selected on random basis and will be notified via email. 4. Prizes are non-exchangeable and non-transferable for cash and may be subject to brands and items exclusions; not valid for items shipped by merchants, discounted items with other promo codes and promotions, unless otherwise stated. 5. By submitting this entry, you agree on allowing ZALORA Malaysia to use information submitted by you for marketing promotions purposes. 6. ZALORA Malaysia reserves the rights in its sole and obsolete discretion to alter any contest rules at any time. 1. Valid only at www.zalora.com.my. 2. Valid till 15th December 2015, 11.59pm. 3. 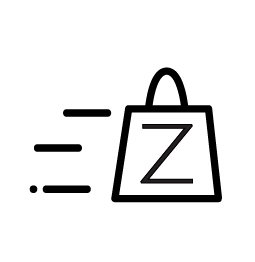 Voucher code only applicable to items sold by ZALORA. 4. Brand and item exclusions apply. Products sold by ZALORA partners are excluded. 5. Not valid with other promo codes and promotions, unless otherwise stated. 6. Free delivery is only applicable on paid price RM75 and above. 7. ZALORA Malaysia reserves the right to change the terms and conditions or cancel any promotion at any time without notice. 3. Valid with minimum purchase of RM90 and above. 4. Voucher code only applicable to items sold by ZALORA. 5. Brand and item exclusions apply. Products sold by ZALORA partners are excluded. 6. Not valid with other promo codes and promotions, unless otherwise stated. 7. Free delivery is only applicable on paid price RM75 and above. 8. ZALORA Malaysia reserves the right to change the terms and conditions or cancel any promotion at any time without notice. 3. Valid with minimum purchase of RM100 and above. 2. Valid till 15th December 2015, 11.59pm and for ONE TIME USE only. 3. Valid with minimum purchase of RM99 and above. 4. Valid for one customer's usage only. This voucher cannot be sold, bought, exchanged or donated. Multiple usage of vouchers across multiple transactions and/or elements of fraud will lead to cancellation of the order. 5. One customer can only use one voucher starting with “4GAME”. 6. Voucher code only applicable to items sold by ZALORA. 7. Brand and item exclusions apply. Products sold by ZALORA partners are excluded. 8. Not valid with other promo codes and promotions, unless otherwise stated. 9. Refund is not applicable on voucher value. 10. Free delivery is only applicable on paid price RM75 and above. 11. ZALORA Malaysia reserves the right to change the terms and conditions or cancel any promotion at any time without notice. 5. One customer can only use one voucher starting with “5GAME”. 5. One customer can only use one voucher starting with “6GAME”.